Man, look at all those bunnies! Jon Rosenberg and I are happy to present something very special today! 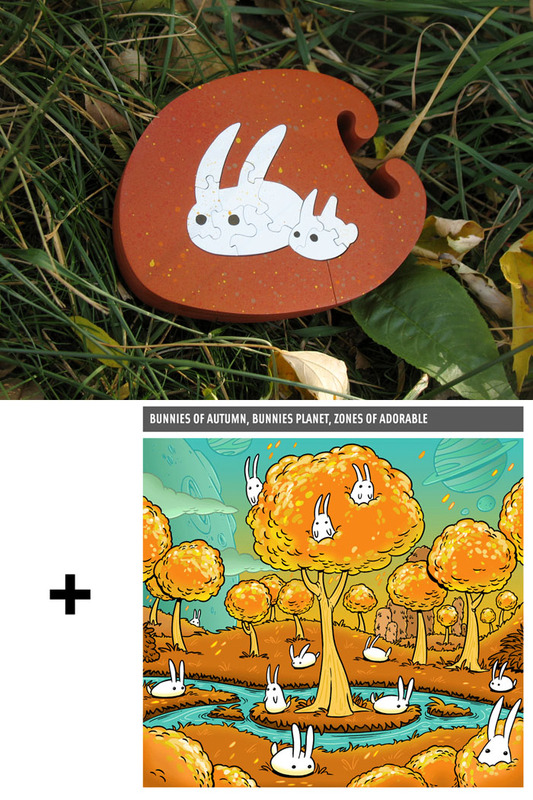 Each puzzle and print are signed and numbered, and each bunny is a little different since they are handmade. 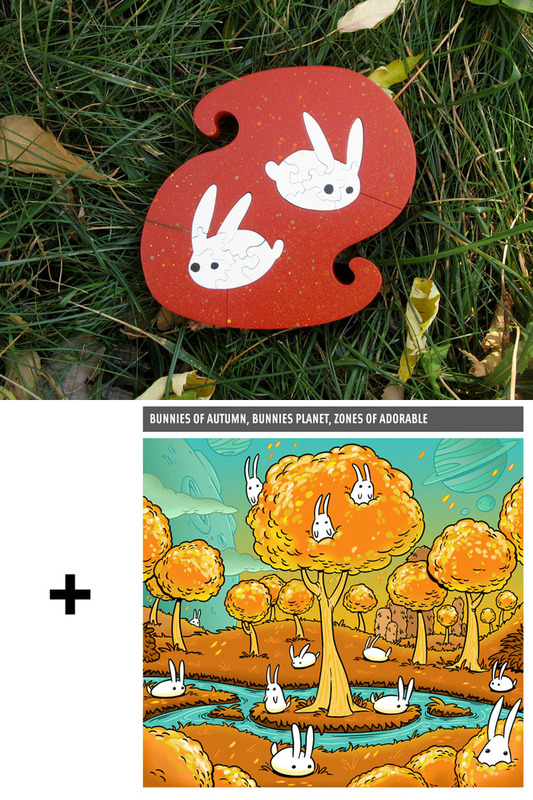 The Bunnies Of Autumn Set A "Solo"
Puzzle: 4"x4"x.75" 7-8pcs. Print: 8"x8" ONLY 12 AVAILABLE! 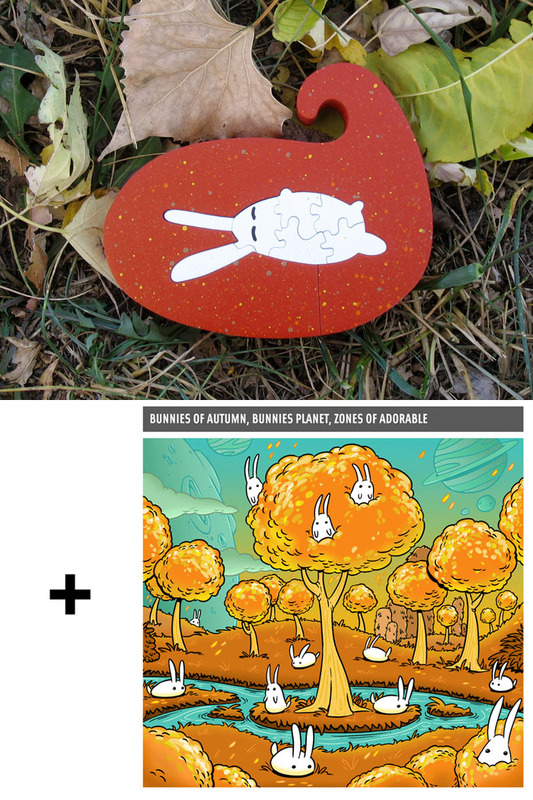 The Bunnies Of Autumn Set B "Blissed Out"
Puzzle: 4"x4.5"x.75" 7-8pcs. Print: 8"x8" ONLY 12 AVAILABLE! 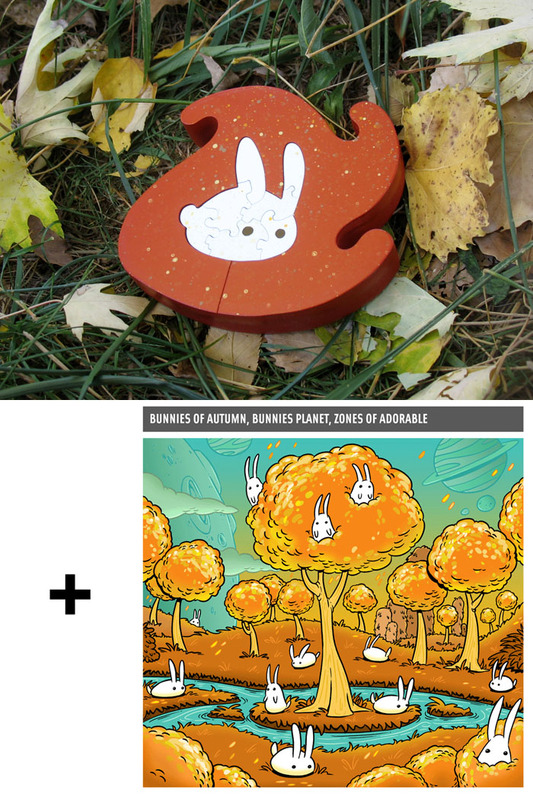 The Bunnies Of Autumn Set C "Mother And Child"
Puzzle: 5"x4"x.75" 10-11pcs. Print: 8"x8" ONLY 13 AVAILABLE! 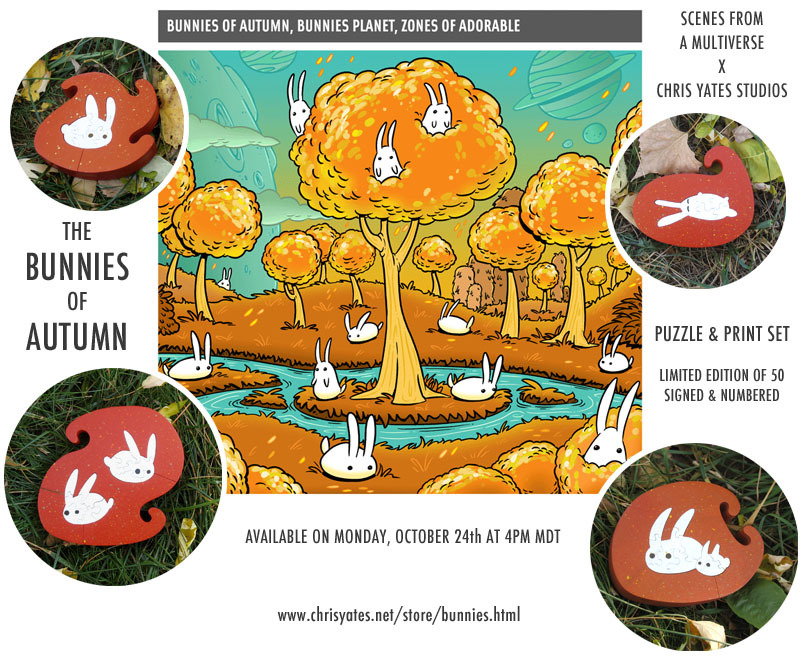 The Bunnies Of Autumn Set D "Pals"
Puzzle: 5.5"x5"x.75" 13-14pcs. Print: 8"x8" ONLY 13 AVAILABLE!